Are Hoof Care Products Worth the Cost? Open any equine supply catalog and you will find page after page of products and supplements dedicated to treating "bad feet." 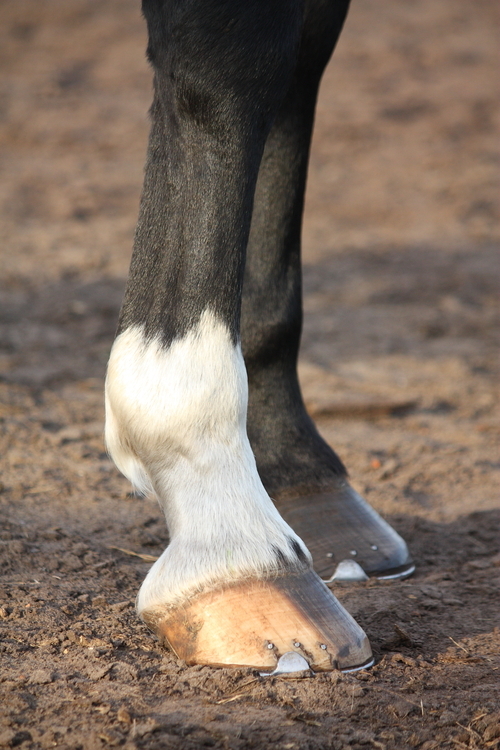 Does any of this dizzying variety of products actually work to improve your horse's hooves? The answer: maybe. But probably not in the ways many equestrians believe. A horseshoer with decades of experience in the Thoroughbred industry, Doug Watkins is also manager of the Farrier Division of Breeders Supply & Equipment Company in Lexington, KY. 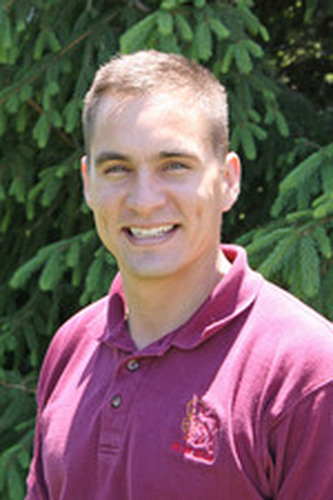 When it comes to hoof health, he stresses that before reaching for hoof products, customers should first apply common sense and not spend a lot of money on items that may not be needed. Biotin, a water-soluble B-complex vitamin (vitamin B7) is believed to encourage healthy hoof growth and strength. "I think a lot of time people do too much to a horse's foot," Watkins explained. "To me, the most important things to have are a hoof pick and a good set of eyes. There's no magic bullet and no substitute for good management and overall health. But then leave things alone - there's a certain beauty in trusting Mother Nature." Renowned veterinarian with Rood & Riddle Equine Hospital's Podiatry Center in Lexington, KY.
One of the most commonly seen products in tack rooms is topical hoof dressings, which are often applied with a brush to the outside of the horse's hoof wall. Product labels claim these dressings will improve the moisture content of the hoof by soaking into and conditioning the hoof wall, and horse owners also receive instant gratification because the outward appearance of the hooves is often improved after application. However, beyond cosmetic factors, Watkins notes that actual benefits are limited. "Introducing moisture through the hoof wall is an exercise in futility - studies have shown that moisture has to be absorbed through the sole, such as through soaking or packing a hoof," he explained. "So if you really want to add moisture to the hooves, it has to be through the bottom." To me, the most important things to have are a hoof pick and a good set of eyes. "Dressings and oils make the feet look nice, and owners feel better because they've done something. But other than helping to reduce appearance of surface cracks, these products don't make as much improvement as many people think." Raul Bras, DVM, CJF, is not only a renowned veterinarian with the Rood & Riddle Equine Hospital's Podiatry Center in Lexington, KY, but is also licensed as a Certified Journeyman Farrier of the American Farriers Association, which gives him both a veterinary and farrier's perspective. Like many horsemen, Dr. Bras grew up believing that painting and greasing a horse's feet was beneficial. "But I've really gotten away from it," he noted. "We have to understand that the hoof grows from the coronary band, so any improvement in the hoof has to start there. Topical dressings applied only to the hoof wall don't do anything to stimulate healthy growth. The only time I really apply anything to the outside of the hoof is post-shoeing if there has been a lot of rasping or sanding of the wall." Dr. Bras emphasizes that topical products applied to the coronary band, not the hoof wall, may have the best chance of actually making a difference in a horse's hoof health, where they can help improve the quality of new hoof as it is grown. For his patients, he often recommends a topical hoof product that combines hyaluronic acid (HA), methylsulfonylmethane (MSM), amino acids, vitamins, and minerals, and is applied to the coronary band. However, while the ingredients may be increasingly modern, improving hoof growth by applying products via the coronary band is not revolutionary thinking. A traditional method commonly seen in any racetrack's barns is to paint a dark, strong-smelling ointment on horses' coronets. "This is actually a mild irritant which stimulates blood flow," said Dr. Bras. "It promotes an inflammatory response in the hope that the body will respond by growing a stronger hoof. It's an old trick, and caution must be taken not to blister the coronet area, but surprisingly it can be effective." When faced with a horse that has "bad feet," the first action many owners take is to purchase a feed supplement containing biotin, a water-soluble B-complex vitamin (vitamin B7) which is believed to encourage healthy hoof growth and strength. Biotin is the favorite supplement for many farriers, including Donny Brandenburg, who specializes in shoeing race and performance horses in central Kentucky. "Biotin is a traditional remedy, and it remains my suggestion for horses with bad feet or poor growth," noted Brandenburg. "In order to have good hoof walls, you have to have good growth, and in that regard I do think biotin supplements have a place." Ultimately, Brandenburg advises owners to educate themselves and keep an open mind. "The same solutions to the same problems don't always work," he said. "Just because something worked for someone else's horse doesn't guarantee it will work for yours. It may take plenty of time and effort to find out what's actually effective for each individual horse." However, Watkins believes many horse owners are too quick to add unnecessary supplements to equine diets, whether there is a problem or not. "There's a supplement out there for every possible perceived 'problem,' including bad feet, and after a while there can be so many in the horse's feed that there's no longer a baseline," Watkins said. "As long as you're on a good basic feed program from an established, reliable feed company, the vast majority of horses get what they need from that balanced diet." Dr. Bras agrees. "The problem we're seeing with biotin is that people are using it for every horse, whether or not they really have a problem with their hooves," he explained. "Then people ask, 'well, does it work?' No, not for a horse that doesn't really need it. You won't see any difference." 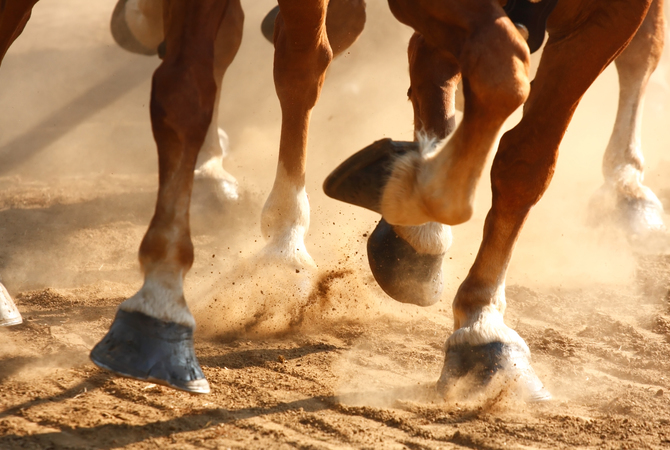 Despite anecdotal evidence of the benefits of supplementing with biotin, studies designed to prove its worth are conflicting; one study may show improvement in horses' feet, while the next one shows no change. Dr. Bras believes many factors besides biotin play a critical role in hoof growth, including other trace elements (such as methionine, lysine, and zinc), protein levels in the diet, environment and living conditions, schedule and type of trimming and shoeing, and overall health. "We know now that biotin is just one aspect to consider when there's a problem with a horse's feet," said Dr. Bras. "Biotin MIGHT help some horses; for others, biotin may not work but another element does. That's not to say that if you have a horse with problem feet, that they won't benefit from biotin supplementation. But unless there's a specific hoof problem, there's no need to feed it, because it will be of no benefit and you're just wasting money." If an owner does decide to add a biotin supplement to his horse's diet, how does one begin to choose which of the hundreds of commercial products is best? Review of product labels reveals amounts of biotin ranging from five to 100mg per ounce, and plenty of debate surrounds what formulation and combination of ingredients is best. When it comes to purchasing a hoof supplement, Brandenburg believes you get what you pay for. "In a lot of cheaper products that I see, the actual amount of biotin in them is not enough to ever make any difference," he noted. "For my clients, I recommend they go for the higher quality products which have a higher concentration of biotin in order to have the best chance of it having a beneficial effect." You may also enjoy reading Hoof growth - what helps and what hurts. Originally from upstate New York, Jennifer is a lifelong horsewoman and graduate of the University of Kentucky. She spent the early years of her career in the advertising, retail, equine management and veterinary fields. Jennifer then spent more than eight years with the United States Equestrian Federation as the National Director of Dressage. Now a published author and photographer, Jennifer is doing what she loves by continuing her career in the equine industry. She is currently the owner of Yellow Horse Marketing, which specializes in public relations work for equine organizations, companies, and competitions. Jennifer lives just outside Lexington, KY, and competes in hunters, dressage, and pleasure driving with her World Champion palomino Quarter Horse, "Whistlin Dixi Time", as well as combined driving with her rescued Hackney pony, "Harpo". Does My Horse Need Shoes?